Love Heals is the true story of places where those who are survivors have experienced encouragement, hope and have been transformed by the Gospel at Thistle Farms. This book is beautiful in the way it is formatted and yet raw in the words on the pages. The imagery and the way the book is designed is a one of a kind. It doesn't feel like a book, yet these are the very kind of books I love to read. My eyes had tears and I was excited as I experienced healing throughout the pages as I read them one by one. This book is perfect for anyone going through a difficult season, someone exploring their faith, looking to go deeper or experiencing the Gospel for the first time. Get ready to sit down and read a book that is full of wisdom, laughter and where you feel that time is endless. Personally, I got lost in this book and couldn't believe how long I had been reading it until I got so tired that I couldn't hold it anymore. 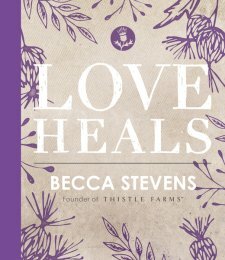 I love what Becca Stevens has created with the community at Thistle Farms and I wish I could see it for myself after reading this book. 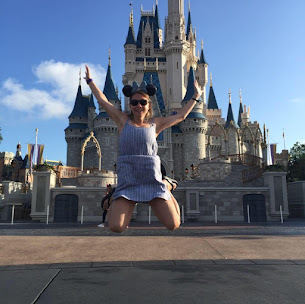 You can't help but be hopeful and have a sense of wonder after reading "Love Heals." I am so thankful for the opportunity to read this book. I give this book 5/5 stars. A favorable review was not required.